Day 58: Zero day in Palmerston North! 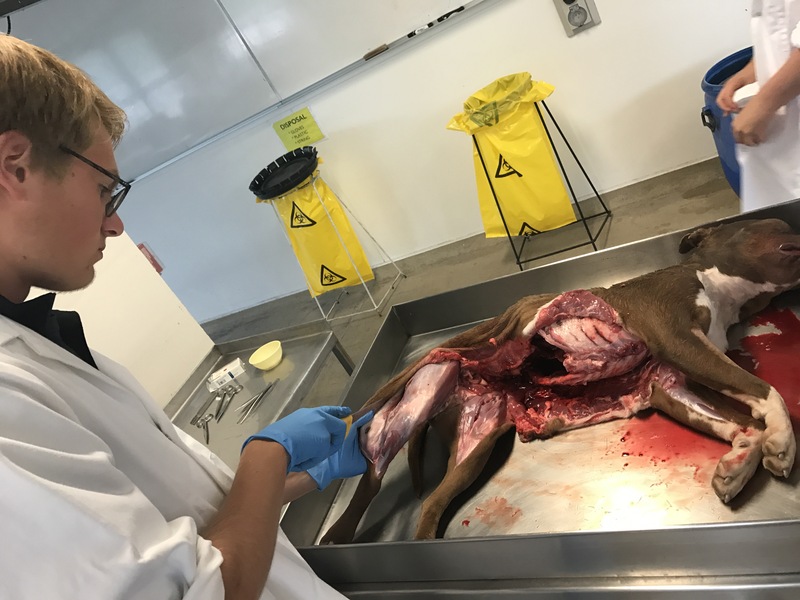 One of our least typical ‘thru-hiking’ days so far – today’s main activity was dissecting a dog in a research lab at the local university. It being a zero day (following a series of annoyingly long road days), we slept in until 9 or so at Molly’s house and soon left to pick up some groceries fort he next few days on the road, but on the way stopped at the Coffee Club downtown for a quick but delightful brunch. At the Countdown we made quick work of selecting our food (we are pretty trained by now) and wandered around the adjoining mall for a bit while waiting for Molly’s granddaughter Jess to come pick us up. And this is the key to the dog dissection story: Jess is a PhD student at Cambridge but until that starts is working at the university here preparing skeletons for zoology students – so we were happy to accept when she suggested we come experience some of this process firsthand in the lab on our rest day. After we dropped off our groceries at the house she drove us to the lab and we donned some white coats and science gloves. 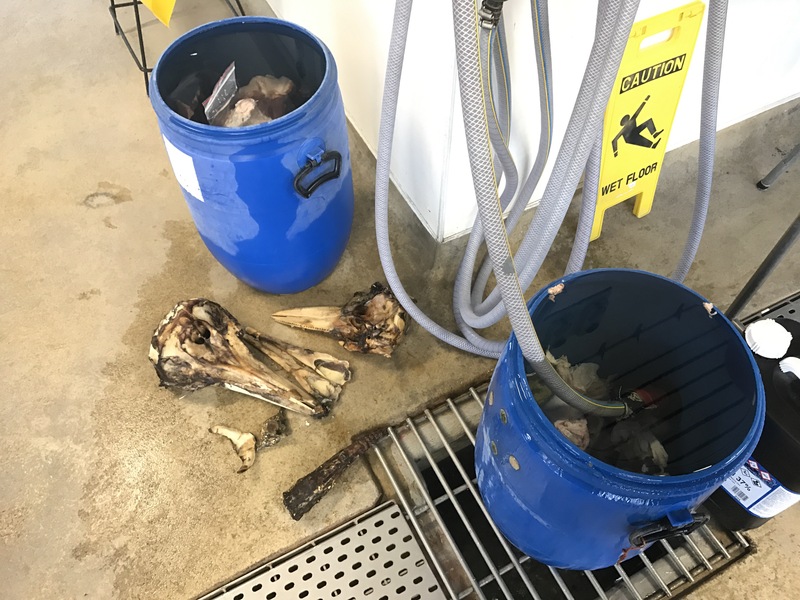 She showed us a big blue bucket of partially cleaned cow bones soaking in water, which we were tasked with cleaning further – scraping flesh off with a scalpel and tweezers to reveal bare-ish bone beneath. 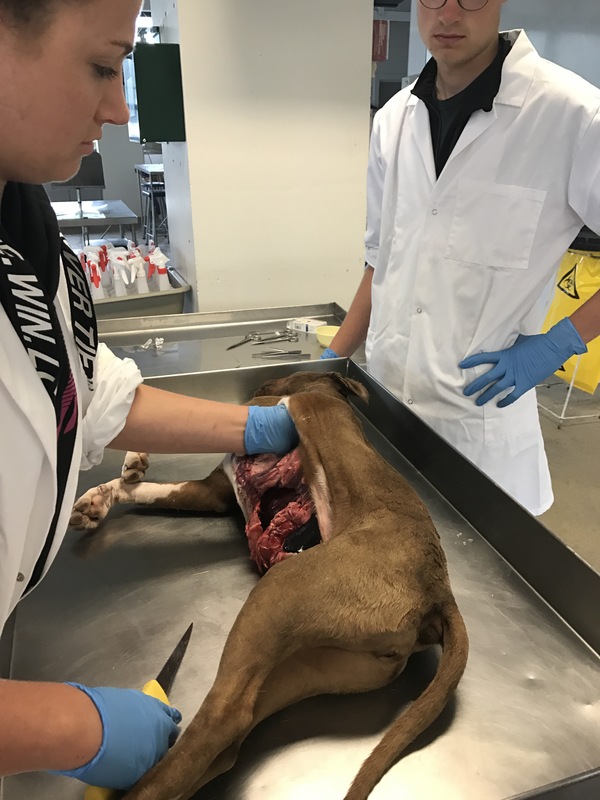 It was slow going so she showed us the more exciting task, a full dog specimen. 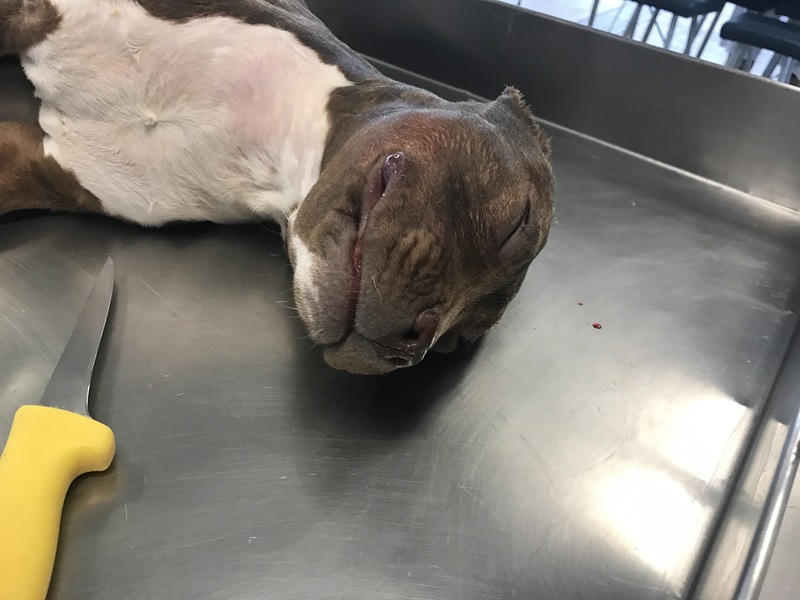 She explained that the dog had come from something like a shelter or a pound, so it was not actively killed just for the sake of education or science. 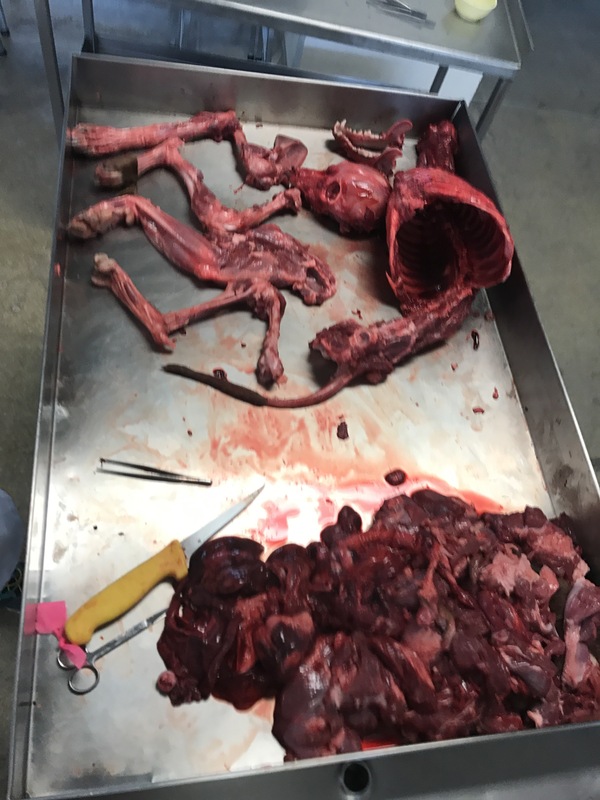 She started the skinning process and let each of us help with a limb, and after that the real learning began, as she pointed out to us all of the organs and structures as she disposed of them. We had flashbacks to preparing that rabbit so long ago. 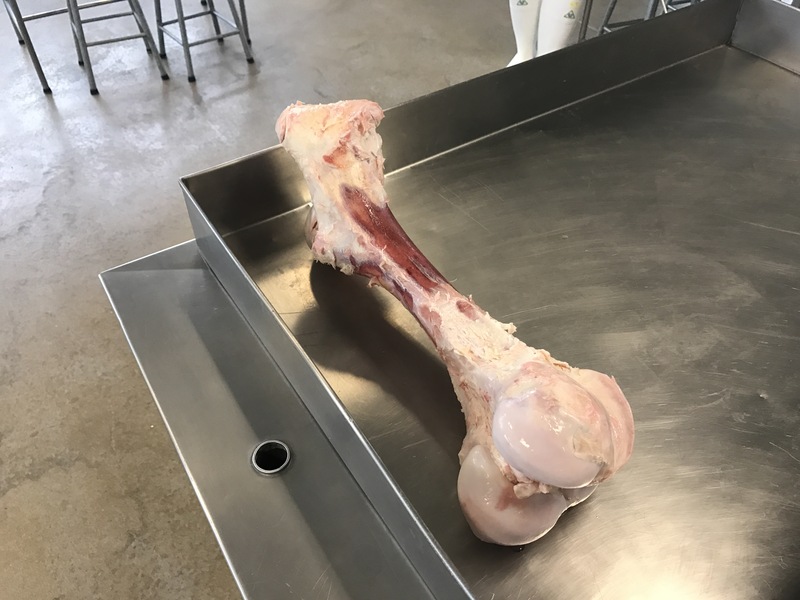 She gave us each a limb again to help get some muscle off of the bone, and by the end we had made pretty good progress – from a whole body to a disassembled skeleton with some muscle still on. I only cut myself two small times throughout the process. After this enlightening afternoon we went back to the mall to pull the trigger on a sweet Thursday night only deal we had spied earlier; a twenty dollar burger + fries + movie ticket combination. The burgers were fantastic, and we soon made our way over to the cinema and watched the new Star Wars movie Rogue One, which we gave eight thumbs up, and soon walked back to the house to rest up for our day tomorrow.